In Paris there are no grand balls or glittering parties for Ingrid, and, disturbingly, the house her twin brother, Grayson, was sent ahead to secure for the family isn’t a house at all. It’s an abandoned abbey, its roof lined with stone gargoyles that could almost be mistaken for living, breathing creatures. 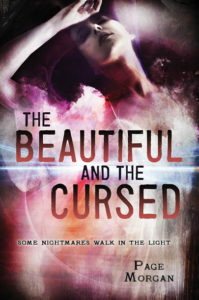 Ingrid is sure her twin isn’t dead—she can feel it deep in her soul—but she knows he’s in grave danger, and that it’s up to her and Gabby to find him before all hope is lost. Ingrid’s blood is special: it bestows the power to command gargoyles. 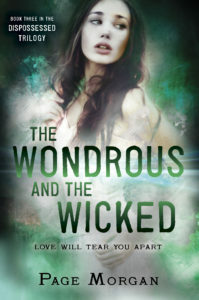 It’s an ability no other human has, and in the wrong hands, it could be used to send her cursed guardian, Luc, and his fellow Dispossessed to extinction. There are those who will do anything to get Ingrid’s blood—and they see no value in human life. Since the Waverlys arrived in Paris, the streets have grown more fearsome by the day. As Ingrid learns to master her lectrux gift, she must watch Axia’s power grow strong enough to extend beyond her Underneath hive. By all indications, the fallen angel’s Harvest is near—and the timing couldn’t be worse. Axia has promisted that the world will burn. An now, unable to trust the Alliance, separated from Luc, Gabby, and her twin, Grayson, Ingrid is left to face the demon uprising alone. 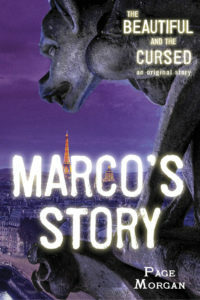 A digital original short story set in the world of The Beautiful and the Cursed that follows the dangerous and mysterious gargoyle, Marco. 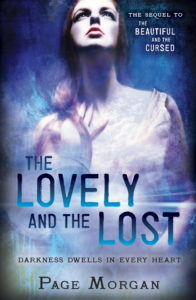 Read it before the sequel, The Lovely and the Lost!